My backup plan is in turmoil at the moment so I thought I would give Windows 8 File History a test drive. The idea behind it is quite simple. 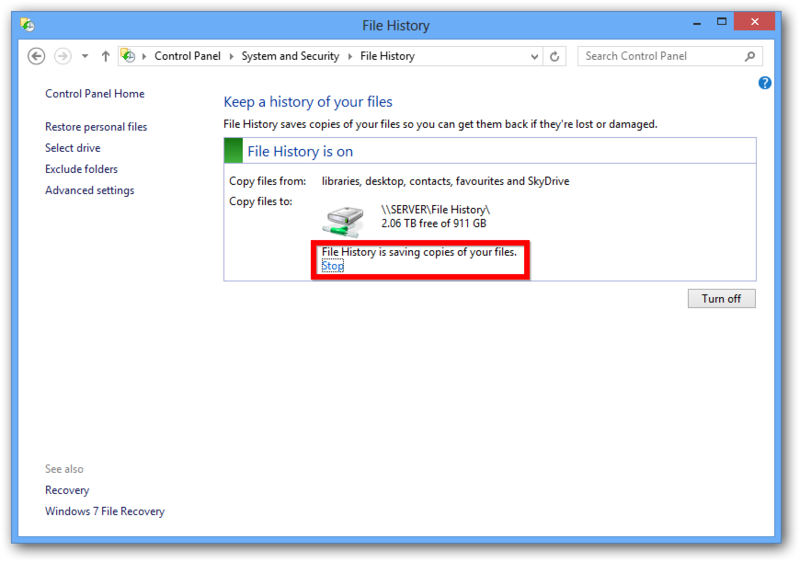 Windows 8 File History takes a snapshot of your files in your libraries every hour ( or a time span you prefer ) and saves them to a drive of your choosing ( preferably an external drive ) for safe keeping. 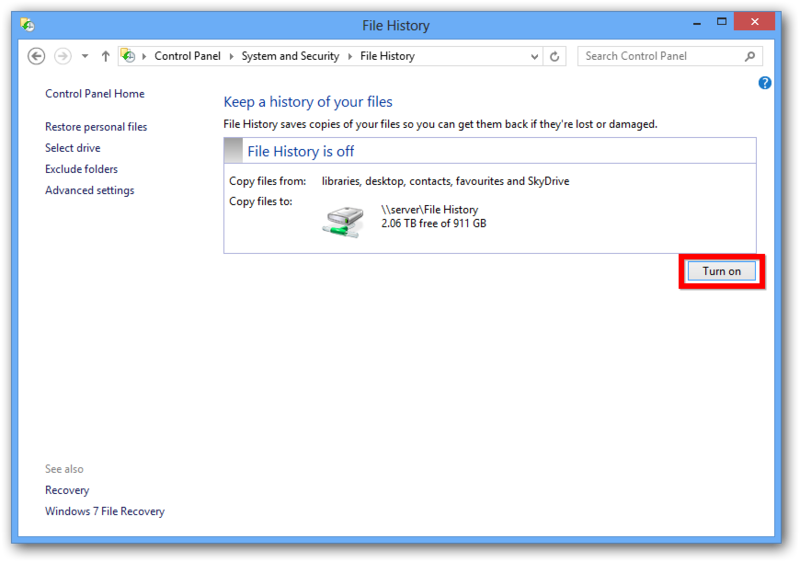 File History resides in Control Panel under System and Security. 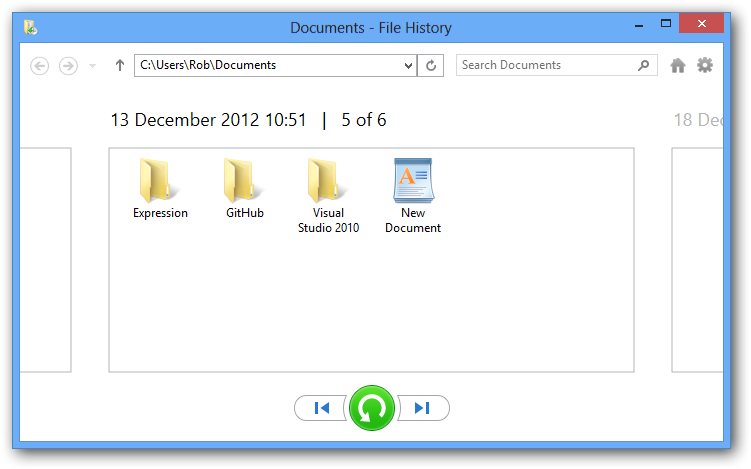 But for easy navigation under Windows 8, just hit the Windows Key and F. Then type in “file history“. 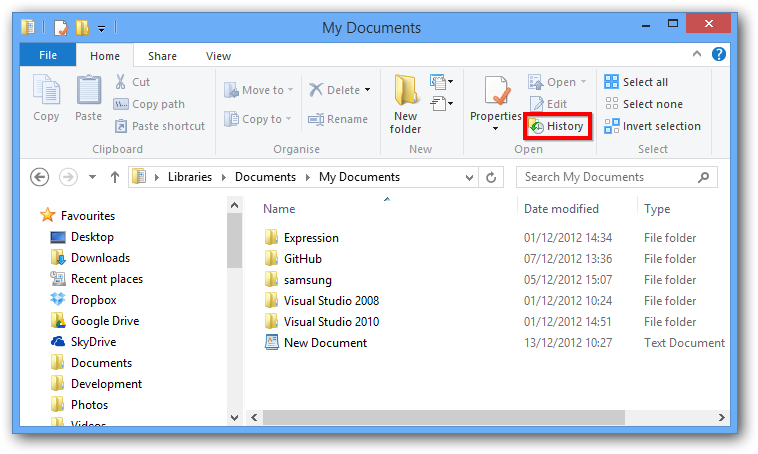 Select the File History result as shown above outlined in yellow to open it up. Hit the “turn on” button and choose a folder. 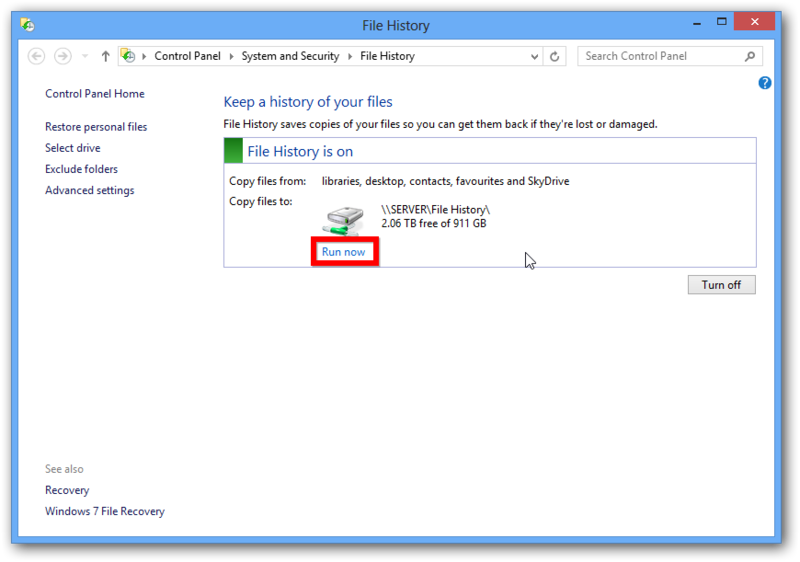 I created a folder on my Windows Home server called File History. Just hit the “run now” button. The first time seed copying of everything in your libraries could take a while depending on how much stuff you have in there. And there you have it, all of your important files backed up on a regular basis. 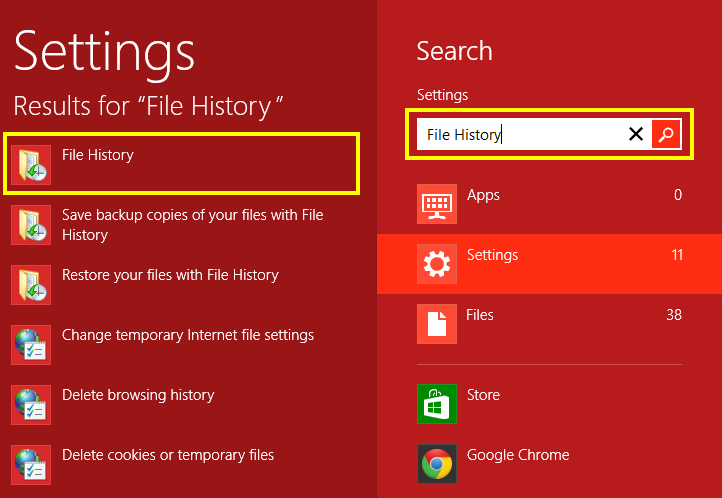 After file history has had time to collect some snapshots of your files, you can go to any folder which is backed up by File History and click on the History button. 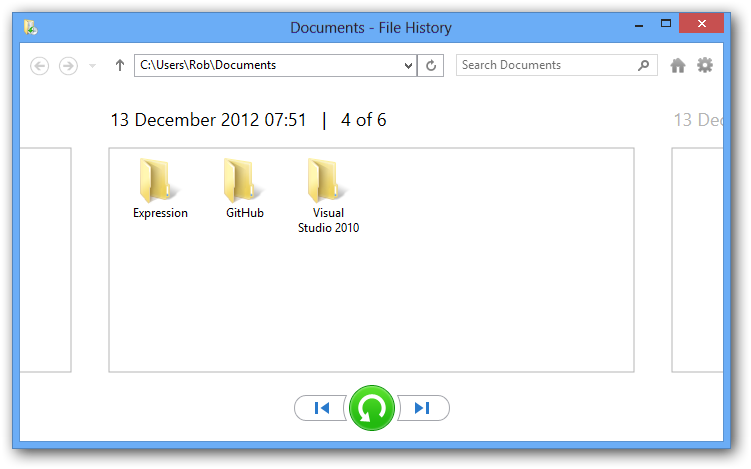 You are then shown a screen where you can view how your files have changed over time. Pressing the next/previous button will cycle through your changes.